The past days we have been told that Saab has trouble paying the suppliers. So far three suppliers have confirmed to the media that Saab has long due outstanding payments for services or parts delivered. First it was the advertising agency Lowe Brindfors, then the transport company DB Schenker and finally today the large components maker IAC. I have no reason not to believe them when they're saying that they haven't gotten paid. So is Saab a remarkably bad payer? Or does the suppliers treat Saab differently than they would other customers? According to ttela.se, Saab has bad credit rating, but Saab is a good payer. The accounts receivable management company Soliditet, says that one should only give Saab credit if one has collateral, but at the same time they say that Saab usually pays the bills five days before the payment deadline.That makes Saab better than the average. At the same time, Swedish TV4 tells us that the automobile industry in general are lousy payers. The big companies use the smaller companies as an extra credit. Saab is not worse than others. Over to Jan Åke Jonsson's retirement. Jonsson is a man of honor. But would a man of honor announce his retirement if he knew that Saab was in deep trouble and would get into production problems three days later? Would he retire and hand over the responsibility to Victor Muller just like that? Wouldn't the two most probable options be to resign immediately or stay as CEO until these troubles were solved? Finally, the media say claims that Saab has cash flow and liquidity problems. When Spyker agreed to buy Saab they "entered into a EUR 150 million Equity Credit Line Facility with GEM Global Yield Fund Limited (“GEM”) for a term of 3 years." Has this credit line facility been used? And if not, and Saab and Spyker Cars really have a cash flow problem, then why not use this possibility? Because it's too expensive, even in the short run? And not to forget; Saab still claims that they have no cash flow or liquidity problems. It is only a question of agreeing on new delivery and payment terms. Maybe someone can explain to my what is going on? Saab has applied for more loans from the European Investment Bank. So far the loan agreement has a limit of EUR 217 million and the most Saab can loan is EUR 400 million. I assume that this additional loan, if approved, can like the first 217 million, only be used on research and development, and not to run the factory. The Swedish National Debt Office says that the application to approve Antonov as a shareholder in Saab, can take weeks to process rather than days. Supplier IAC has stopped all deliveries to Saab. They indicate that they have not been paid and that the talks with Saab hasn't led to a solution so far. Update: Another stop at Saab today because of problems with supplies. Okay, so after days writing about retirements, payment troubles and generally anything but cars, let's change focus and look at one thing that makes the new Saab 9-5 SportCombi so unique and classy. In my opinion, in the last 10 years car design has become more and more generic. Soon you can't see the difference between an Audi and a Toyota. And that's not Audi's fault. Audi, together with BMW, Mercedes, Volvo, Saab and some other brands, have design cues that they hold on to. But many other brands, and maybe especially Asian brands, ﻿look to European car design and tries their best to give their cars a European touch. Saab has some design cue that has been with them the last forty years: Hockey stick roof line, the wedge like stance, sloping C-pillars and rear window, wraparound windshield, three piece grille with a wing in the middle, front lights that sweep over to the sides. Even Saab has launched cars that haven't been 100 percent true to Saab's design cues, but these cues are more or less the Saab characteristics. So over to the new 9-5 SportCombi. What makes this car so special? From the front and all the way to the rear doors it is more or less similar to the Sedan. But let's look from the C-pillars (the pillars behind the rear doors) and further back. Here Saab use a modern take on the same design as on the previous Saab 9-5 SportCombi and more or less the same as on the upcoming 9-4X. The C-pillars are painted in the same color as the body and run from the roof and down to the rear arches, just like on the sedan version. From the C-pillars and back the windows and D-pillars are "blacked out". They look like a whole. It's only the roof line that is painted the same color as the body. Picture "stolen" from Golfhunter at flickr. First look at the picture of the Saab 9-5 SportCombi above, and then scroll down and look at the Audi A6 (Audi is coming with a replacement but it will probably look more or less the same), the BMW 5-series touring and the Mercedes E-class. They (and almost all other wagons like Skoda Superb, VW Passat, Toyota Avensis, Mazda 6, Peugeot 508, Citroen C5, Ford Mondeo, Opel Insignia etc etc) basically use the same generic design solution at the rear! Saab is a breath of fresh air in a gray mass of Wagons. Also notice how flat the windshield are on all these cars except the Saab. That's another nice design element that makes the Saab unique. A couple of days ago it was announced that a Swedish car maker will be hiring 900 new engineers in Gothenburg the coming years. And the car maker is Volvo Cars. But where will they get all these engineers from? It is no secret that Saab has a tough financial situation. In the business plan there was/is money to set the 9-5 Sedan, the 9-4X and the 9-5 SportCombi into production, as well as developing the next 9-3 set to launch in October 2012. But in addition to set new cars into production and developing the 9-3, Saab also needs money to run the production plant in Trollhättan. Saab needs to produce and sell cars to create cash flow. The last couple of days can indicate that the biggest financial challenge at the moment is to have a healthy cash flow. So if the sales don't not pick up soon and settle at a pre-crises level, Saab might need a new financier to come and invest more money into Saab and secure the operation for at least two or three years to come. Thankfully the Russian banker Vladimir Antonov, has taken the first steps to become shareholder of Saab, but we still do not know i he will succeed or how much money he is willing to invest. With this knowledge at hand, how do the engineers at Saab think? The last number I saw regarding engineers at Saab was just 900. Since then, some followed over to e-AAM and some to Vicura. Will Saab's engineers stay at Saab with their hopefully interesting and enjoyable jobs, or will the security of being part of a bigger company like Volvo lure them down to Gothenburg which is just 100 km south of Trollhättan? Only time will tell. And time is of essence. The sooner Saab can reach financial stability the better. Updated with Victor Muller's comments at of the entry. Production stops, unpaid bills, payment systems that malfunction, lower sales than expected, management retirements, CFO that has a change of heart, questions of financial strength, etc etc. When will Saab ever get some peace and quiet to work on increasing sales, strengthen the sales organization, on improving their cars, on developing new cars? Maybe now! The reason I say now is because Vladimir Antonov, which stepped down as owner in Spyker so that Victor Muller and Spyker could buy Saab from GM last year, has applied to the Swedish National Debt Office to be allowed to become part owner of Saab. Not only does he want to become part owner, he also wants to invest heavily in Saab. Investments that can give Saab the peace and quiet that they need. I do not know how this process works, but my guess is that the National Debt Office has to conclude that they can still guarantee Saab's loans with the European Investment Bank if Antonov becomes shareholder. Then the European Investment Bank must conclude that they still can loan Saab money when the ownership structure has changed. Hopefully this process can be fast and Antonov can soon be welcomed into Saab as a real owner, and not just as a financier. Vladimir Antonov has filed an application to become a shareholder in Saab. This was confirmed by the National Debt Office and Antonov himself to TTELA. Vladimir Antonov has filed a formal application to the Debt Office. - We can confirm that we have received an application from Vladimir Antonov last night, but because of confidentiality, we can not comment on the content of the application, said Daniel Barr, project manager for Saab at the National Debt Office. Even Vladimir Antonov confirms briefly that he have submitted an application. Previously, he has said that he wants to invest capital of between SEK 440 and 620 million, so that Saab and its parent company, Spyker Cars NV, can get a some buffer capital. Money to use in case of cash flow problems. Furthermore, Antonov has indicated that he is willing to invest an amount of SEK 1.7 billion to finance the development of a small Saab, often referred to as 9-2. But all this requires that the National Debt Office and the European Investment Bank approves him as owner. How much capital is he willing to invest? - A lot. But I can not be more specific than that. What would an investment by Vladimir Antonov mean for the company's liquidity? - It would improve. Right now, I can not be more specific. Now it is out of our hands. Another stop at Saab on Wednesday - new payment system to blame? Update II: Victor Muller talks to Swedish TV news Rapport (40 sec in). After Saab was seperated from General Motors, Saab Automobile has introduced a new payment system. However, it has not worked as intended and, therefore, suppliers had to wait for their money. This according to press spokesman Thomas Schulz. - We have introduced a new payment system which has been difficult to get to work, says Thomas Schulz, spokesman for Saab Automobile, after the suppliers had to wait for their money. - It has lead to delays in payment. We can admit to that. We are in dialogue with all suppliers to avoid disruptions in production as much as possible. Do the suppliers understand your problems? - Since we have so many suppliers so it is difficult to get the message out to all. I think they understand us, but ultimately they need money to survive just like us. I understand they are frustrated that we could not get the system to work correctly, says Thomas Schulz. What are you doing to resolve the situation? - We have put in extra resources, both in the purchasing and supplier dialogue and of course to resolve the system problems. Thomas Schulz would not comment on production disruptions on Wednesday, but said that Saab Automobile and transportation company DB Schenker, which stopped their supplies, have a dialogue going. According to information the production has stopped again at Saab Automobile. Production had to stop just before 11 pm, and the reason was once again shortage of materials. In addition to DB Schenker, IAC in Färgelanda as also affected. Saab spokesman Thomas Schulz would not comment on the production stop. - I can not comment, but I can say that we have been in contact with all suppliers and told them that they must do everything they can to deliver materials, he says. He also confirmed that many suppliers are affected. - All suppliers are affected and it has to do with our new payment system which unfortunately has been a problem. And it is not only Schenker DB that Saab has a problem paying - from several sources we are told that IAC in Färgelanda has been affected by unpaid deliveries, and that they have reduced or even stopped their production for Saab. - No, but we negotiate the delivery and payment conditions with a handful of suppliers. When you use just-in-time deliveries like we do, sometimes this can happen. Now we have reached an agreement with Schenker on payments and deliveries but I can not go into details on the negotiations, he says. The supply disruptions is not said to be connected to shortage of money. - It is not our liquidity that is the problem, says head of information Eric Geers. He would not comment on if all suppliers have been paid on time or not. - We are in the midst of discussions on the payment and delivery terms and we do not discuss through the media, he says. It's time to sum up the situation with suppliers allegedly not being paid and production disrupted at Saab. I seems that the company which stopped supplying Saab was the transport company DB Schenker. They claim that Saab owes them millions of Swedish kronor, and now they will only deliver if Saab pays at delivery. They have several truck loads of parts and they say that Saab can decide which deliveries they want. DI.se has a news piece about the deliveries. Svenåke Berglie, which is the president of the Swedish Automotive Suppliers Association, says that DB Schenker is not the only supplier not being paid. He claims that Saab has had problems paying its suppliers on time. He also says that the amounts in question are big. Yesterday the advertising agency Lowe Brindfors claimed that Saab hadn't paid them since December and that they were forced to stop the cooperation with Saab. Today Victor Muller says that it was Saab who ended the cooperation with Lowe Brindfors because Saab wasn't satisfied with the work the ad agency did. And Saab will pay the amount outstanding. The Swedish National Debt Office, which has guaranteed Saab's loan at the European Investment Bank, tells us today that they are not worried about the loan they have guaranteed. They have a collateral at Saab worth SEK 4 billion and the loan is only EUR 217 millions (about SEK 2 billion) so far. Update II: According to Victor Muller, it was a transport company that wanted better payment which caused the the production disruption on Tuesday afternoon. In other words, it was just a silly little thing that lead to massive bad publicity. Production at Saab Automobile in Trollhättan started as usual on Wednesday morning after Tuesday's stop, said press spokesman Thomas Schulz. - There was some disturbance in the afternoon. I can not say exactly how long it lasted, but there was some problems with the incoming parts. Saab Automobile is reported to have problems paying the subcontractors. Deliveries have been stopped and yesterday the factory in Trollhattan stood still. Saab's President Victor Muller confirmed that the factory had stopped, but did not want to talk about what caused it. - We have always temporary stops, but there's nothing we're talking about, said Muller. Is the stop due to unpaid invoices? - No, I do not think so. I'm in the middle of a meeting, but we definitely do not comment on something like that. Saab's chairman Victor Muller is saying that he does not believe that the recent production has stopped because the Saab has been unable to pay bills. But several sources say that Saab yesterday forced to suspend production after supplies failed to arrive because of unpaid bills. Hakan Skött, Chairman of the IF Metall union at the factory in Trollhattan, confirmed to TT that production stopped because of problems with material deliveries. Svenåke Berglie, president of Automotive Suppliers Association, says that Saab has had problems paying its suppliers on time. Advertising agency Lowe Brindfors has long had cooperation with Saab, but now stops working with the company since the ad agency has not been paid since December, according to Resumé online edition. The questions are piling up around Saab. On Friday the news was that Jan-Åke Jonsson has resigned as president of the company. The National Debt Office is the guarantor for the loan of 400 million euros that the European Investment Bank gave to Saab when it was most turbulent around the company. 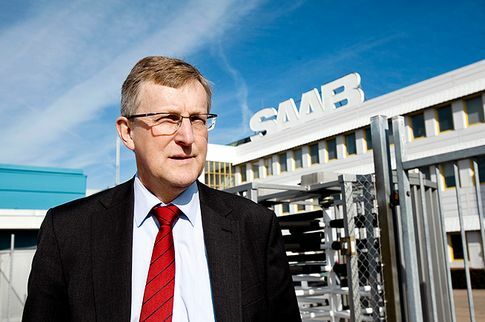 Following the announcement last Friday, Bo Lundgren at the National Debt Office wanted to know more about what the change in Saab's leadership would mean. The National Debt Office said on radio that they have now had contact with Saab, but would not go into what has been said. However, new contact with Saab can be neccesary after the news on the production stop. According to the business plan, Saab should have sold 80 000 (wrong, correct number is 65 000 - Arild) cars last year, but ended at only 30 000. And thus lot less money than expected came to the company. Last year, Saab had a loss of around SEK 1.3 billion. The halt in production yesterday, is another sign that things are going really bad for the brand. But President Victor Muller does not want to answer questions about how Saab is doing. - I'm in the middle of an interview now, it's not the time to talk about it. But the situation is okay. So you have no major problems? - No of course not. I will update as new information becomes available. NB: Saab has secured both short-term and mid-term financing and will restart production in the beginning of May. Update III: Payment problems was due to a malfunctioning new payment system. Read more here. Everything should okay on Thursday. Update II: Production started as normal on Wednesday morning. Seems like the alleged payment problems was just a storm in a teacup. Saab spokesman Thomas Schulz said he did not know about the claims and dismissed rumors that production at Saab's main plant was halted Tuesday. Saab Automobile is reported to have problems paying the suppliers. Deliveries were stopped and on Tuesday the factory in Trollhättan stood still. Several sources stated that the stop in the factory was due to at least one supplier halted the delivery to Saab. But the company chooses to remain silent both about any payment problems and shutdowns. - We have 800 suppliers and I can not comment on our relations, says the director of communications Eric Geers. - But, with so many suppliers, it is no wonder that stops can occur. But Håkan Skött, Chairman of the IF Metall union at the plant, confirmed that production stopped because of problems with material deliveries. - I don't know how long the stop lasted, but there has been a stop. - Saab has lagged behind on the payments and we have urged the company to fix this. It is clear that there is a problem when suppliers are not paid on time. - Any company can now and then get into cash flow problems. However, Saab is a company that has everybody's eyes on them and must get this right, says Svenåke Berglie. I guess we will get more information on the stop tomorrow. Until then let's assume that this was just an misunderstanding between Saab and the supplier. “You never know what can happen, but there is no current plan” for a 9-4X diesel, says Anders Svensson, Saab’s vehicle line executive. Saab also will continue to use the 2.8L V-6 for the 9-4X and other models, despite GM’s decision to dump the engine from the SRX. GM Holden in Australia builds the engine, and the U.S. parent uses it elsewhere globally, but Cadillac will offer a 3.6L direct-injection V-6 as optional on the SRX in ’12. The 9-4X did benefit from GM’s decision to bring Saab engineers onboard early in the development of the Theta Epsilon premium platform to offer some European flavor. After Jan Åke Jonsson announced his retirement last week, media all over the world have analysed what this will mean for Saab. Earlier today I wrote that bnet thinks that Saab will prosper in the years to come, despite Jan Åke Jonsson's retirement. Marianne Sterner at Swedish car magazine Vi Bilägare thinks that Jan Åke Jonsson's retirement can be seen as a sign of Saab doing well. Her reason is that he would never retire if Saab was doing bad. My own conclusion is that Jan Åke Jonsson has done a great job saving and restarting Saab, and that it seems sensible to let someone else take on the challenge to run Saab under normal business conditions. The big question is who will be the next CEO. When someone steps down, someone new steps up. Golfhunter over at Saablog-In suggested Knut Simonsson as the new CEO. Great suggestion! Someone suggested Mats Fägerhag over in comments at SaabsUnited. Great suggestion! I want a tough and straight-shooting CEO and suggested Bo I. Andersson. Jens B Nordström, a journalist at Swedish TV4, has written a book about Victor Muller and his work at Spyker. He doesn't make any suggestions for new CEO at Saab, but he paints a rather bleak picture if Victor Muller's abilities as CEO, and says that Saab needs a new CEO fast. Remember that this is just one man's conclusion, but none-the-less, it should be taken seriously. Below is what Nordström says about Victor Muller as CEO. Victor Muller is good at starting new projects - but as CEO, he is highly dangerous for Saab, writes Jens B Nordström. It would be a disaster for Saab if Victor Muller stayed as CEO of the company. In Saab management team they now say openly that Muller should not prolong his time as CEO. I talked with Mats Fägerhag, Technical Director at Saab on Friday, after news of Jan-Åke Jonsson's unexpected retirement - and the not so unexpected report about another billion loss. Mats Fägerhag is a member of the management team and does not mince his words about Muller's suitability. - His knowledge of certain areas is quite limited. He is by no means as complete as Jan-Åke Jonsson was, said Fägerhag. Saab executives are right to fear Muller as CEO. I have reviewed his efforts at Spyker. Muller appears as skilful at coming up with ideas and with a god-blessed talent to attract money. But his attempts at managing the daily operations of Spyker has been a fiasco. Victor Muller's forecasts of sales and profit miss the target all the time. He makes expensive investments that fail. And when the legal professional Victor Muller wants to act as an engineer, it often turns out quite wrong. Maarten de Bruijn who founded Spyker, along with Muller, has under interviews provided me with countless examples of how Victor Muller promises customers impossible things. ABS brakes, although there is no ABS system for the Spyker cars. New engines that do not exist. It all forced Maarten de Bruijn to constantly putting out fires within Spyker. - No, we can not afford it. When Spyker in the end is at the start in Le Mans with a rather amateurish built car, Muller suddenly sweeps into the arena. In tow, he has a giant hot air balloon with Spyker's logo on it. - It is typical of how Victor reasons. Paying bills is boring, so I do not care to do it. But a hot air balloon is fun, I want to do it," says Maarten de Bruijn. Another worrying example is that Victor Muller has already been fired as CEO of Spyker once. In May 2007, the sports car manufacturer was an inch from bankruptcy after a Formula 1 effort had gone wrong. The company was bleeding, suppliers refused to ship parts and everybody was convinced that the company was only weeks or days from collapsing. But Victor Muller sat and was sketching on a new and expensive head office that would look like the Spyker propeller logo from above. An activity that under the circumstances seems quite absent-minded. The whole adventure ended with the other owners finally firing the tall Dutchman from the CEO post. Muller had to spend six months out in the cold, before he managed to maneuver himself back in as CEO of Spyker. I have deep respect for Muller, in many ways. He is good at enthusing people and to launch new projects. But what Saab needs right now is a CEO who can keep control of the money, prioritise right, and above all - to boost car sales! These are areas in which Victor Muller has repeatedly failed. I think that Saab's management team, just like me, get worried that Victor Muller has shown a strong interest in participating in and manage the daily operations of Saab. That he either will hire a weak president, that he himself can control. Or worse – that he decides to remain in the CEO position himself. What Saab needs right now is a strong, down to earth CEO. Victor Muller has repeatedly within Spyker shown that he is anything but that. If he remains as CEO of Saab, it may be the death for the car manufacturer in Trollhättan. JENS B NORDSTRÖM is a business journalist on TV4. In the book "Circus Muller", he has examined Victor Muller's economic adventures in the sports car and F1 world. So what to think of all this? I have no idea. I do not know Victor Muller, Maarten de Bruijn, Jens B Nordström or what Saab needs. But I will say this: I hope Victor Muller finds a new CEO that is strong and a straight-shooter. Some one who can take control of Saab and someone who everybody accepts as boss. One of Muller's strengths is the ability to find money, something that Jens B Nordström believe will be beneficial for Saab which may need more capital in the times to come. Update: I have now read the book Circus Muller and I enjoyed it. There are great parallels between how Victor Muller has handled Spyker and how he now handles Saab. The great enthusiasm, "the sky is the limit" attitude, the constant search for new investors, the great and maybe unrealistic plans for the future, etc etc. The list goes on. Victor Muller is great with the media and great at promoting his companies. The other good news is that Muller has saved Spyker time and time again when everybody thought the company would go bankrupt. And there is not question that his heart is in both Spyker and Saab. He truly wants the two car brands to succeed. But I agree with Nordström. Saab needs a professional and levelheaded CEO! Victor Muller can handle the media and investors, but someone else needs to handle the day to day operation of Saab. 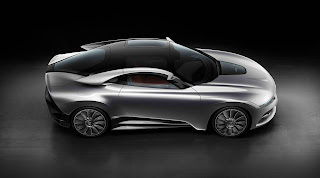 Jason Castriota, chief designer of the new - independent – Saab, has presented his first work. In the concept PhoeniX he combines both history and future, in a totally new way. - Previously, the Saab concept cars fell very much within what was established as Saab. Now we must learn to think outside the box, and with PhoeniX, we have certainly succeeded," says Castriota proud. This is the first time Saab displays a car completely signed by the new designer, who took office barely a year ago. Then the development of the new Saab 9-3 was already in full swing, but Castriota did not like what he saw. - The new 9-3 was really intended as a pure GM product, but we must be innovative and think differently. It's something I want to show with the PhoeniX concept. It should engage, there is no room for gray areas. Love it or hate it," says Castriota determined. At Saab being head of design however means much more than just hold the pen. There are plenty to do within the walls of Saab. - I was surprised by Saab's bureaucracy when I joined the company. We have a challenge ahead of us to make Saab smaller internally, but growing. Above all, I struggle to integrate design and development into each other. Although the new job is located in Trollhättan Jason Castriota lives in New York. However, he sees no problems with the integration of the Scandinavian design in future models. - My entire career has been more or less consisted of consulting, but I have a passion for Saab and sees the job as a challenge. Neither Victor Muller, Jan Åke Jonsson or I live in Trollhättan, but I’m there at least once a month. We are a modern company, and the PhoeniX is actually completely digitally designed. So it does not matter if I'm sitting in New York or Trollhättan. However, he does not see himself as Saab's savior, rather as part of an elite group that together will ensure the future of Saab. And the future is at Saab he says, even for himself. That the much discussed Saab buyer Vladimir Antonov’s father - Alexander Antonov - was shot in 2009 has been well known for a long while. What few know is that even the son suffered a similar attack the same year. He was saved, however, by his armored car, the newspaper Dagens Industri writes. The family Antonov’s reputation has not been the best, rumors of criminal links was said to have been a compelling factor behind GM’s refused to sell Saab directly to Vladimir Antonov. In a recently published book it is revealed that Vladimir Antonov was close to being killed in 2009. When he stopped at a red light in Moscow in 2009, a car pulled up alongside him. Antonov threw himself down on the floor, and heard the bullets patter into the car. "I survived because my car was armored," Vladminir Antonov says to the book's author, TV4 journalist Jens B Nordström. According to DI, Antonov said that the attack was done by the same gang who fired at his father - who, although he was hit by five shots, survived. The underlying motive would have been an attempt to take over the family business group Convers Group. It should be noted that the rumors of criminal links have been proven wrong by at least to seperate investigations. Against all odds, it’s beginning to look as if Saab might creep back toward profitability. In fact, if Saab gets just one or two things right over the next few years, it could create a new automotive category: the near-luxury niche carmaker. It was this last figure that caught my attention. Saab is now doing better than surviving — its sales are beginning to thrive. And this is with its old product lineup, which essentially consists of three vehicles. If the company moves in the direction I think it will, toward a combination of mid-luxury and fuel-efficiency, it could actually retake chunks of its traditional marketing sweetspot in the U.S. Northeast. So head over to bnet for a very nice read! When managers and politicians send out press releases about retirements to get more time for family, usually no one believes them. Those in power do not spend their lives that way. Time for family is usually a euphemism for them getting fired. But when the Saab boss Jan Åke Jonsson said that the last three years have been "very challenging", no one should doubt that he is telling the truth. The employees' struggle for the small car brand from Trollhättan has defied most modern Swedish industrial history, and the focus has always been Jonsson. 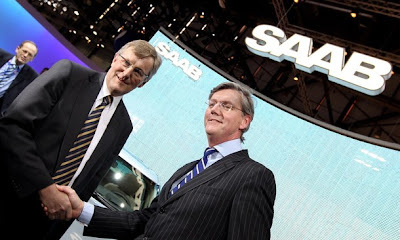 "The most respected leader I have ever met", says Saab's new owner Victor Muller about Jonsson. For just over a year ago, they were both hailed almost like rock stars when the escape from GM finally was a reality. Saab had defied the closure notice, both from Detroit and Stockholm. What the future holds is still unclear, but the company and its employees have been given another opportunity. And to a large extent it is to Jonsson's credit. Today his departure saddens the labour unions. ”Regrettable," says Håkan Skött from the union IF Metall. "We will miss him," says Anette Hellgren from the union Union. They both say that they understand and respect the decision. A respect Jonsson has earned. For once, there is actually a reason to believe a manager who says he will resign to get more time for other things in life. Saab - a humerous car? In the 1980ies and early 1990ies Saab was a very trendy and cool car, and who better to drive a Saab than Jerry Seinfeld? Another well known comedian who has a Saab is Jay Leno. He owns a 1958 Saab 93B. 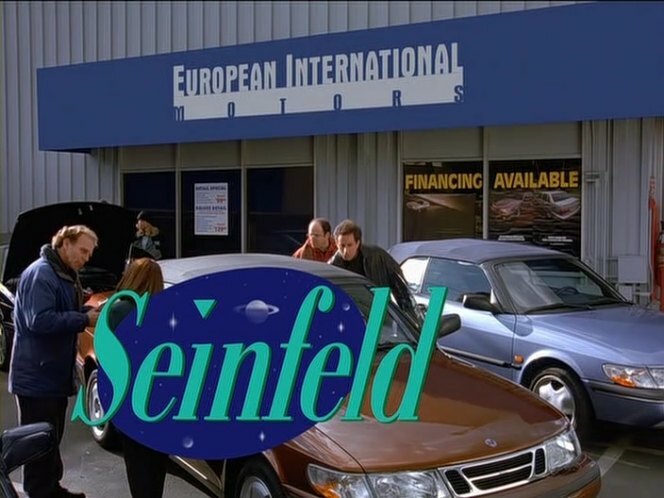 But Jerry Seinfeld and Jay Leno aren't the only stand-up comedians driving Saab! In an interview done with Chicago Tribune, Sarah Silverman tells us that she has a Saab. Swedish car magazine Auto Motor & Sport had a talk with Jason Castriota at the Geneva Motor Show. The interview and report from Geneva is available in issue number 6. Here are some of the information they got out of the Saab people in Geneva. Jason Castriota tells Auto Motor & Sport that he has gotten the drag coefficient of the next Saab 9-3 down to just 0.26. And as far as I can tell, that is actually very good. The current 9-3 SportSedan and the new 9-5 Sedan have drag coefficients of 0.28, which is also good, but not outstanding. So why is a low drag coefficient so important? Well, because lower drag means lower fuel consumption and thus lower emissions. In todays market low consumption and low emissions are very important, especially in Europe where many countries tax emissions. The big challenge is to reduce drag and at the same time have enough downforce to give the car aerodynamic stability and great cornering ability. One car that has both a beautiful design and a low drag, and I assume great driving characteristics, is the new Mercedes-Benz CLS with a drag of just 0.26, the same Castriota says he has achieved with the new 9-3. In addition to drag, size of the frontal area is also important, but on this we get no information about the new 9-3. Already at 50 to 80 km/h (depending on the car), aerodynamic drag becomes the most important factor for lower fuel consumption. To AMS, Castriota says that the style of the upcoming 9-3 will not be as extreme as the PhoeniX concept. Instead it will be a mix of the balanced and beautiful lines of the Aero-X and the extreme shapes of the PhoeniX. Big parts of the front design of the PhoeniX are close to the 9-3 design. The most noticeable difference is the headlights which will be bigger on the 9-3. The body painted wing across the grille and into the head lights will follow over to the 9-3, as will the nicely shaped bonnet. The next 9-3 will get bigger and more prominent front wheel arches, and will also get a wraparound windshield. The hatchback will get an even flatter roof line and lower rear end than the PhoeniX concept. Auto Motor & Sport tells us that Jan Åke Jonsson, when Saab was headed into a divorce from GM in 2008, wanted Saab to create their own basic vehicle structure. Technical director, Mats Fägerhag, then starting to plan a solution based on the Scania platform approach: One basic architecture shared by both the 9-3 and the 9-5, as well as the 9-4X. The name Phoenix was suggested by Kjell ac Bergström. One advantage of the new platform compared to GM's delta platform, which the 9-3 was supposed to be built on under GM, is that the chassis and drive line is more than 100 kg lighter than GM-solution. Saab has also worked much on reducing the front overhang and thus moving the front wheels forward. This gives better driving characteristics and a more flexible engine bay which is suitable for different engine suppliers. Doesn't a drag coefficient of just 0.26, lighter architecture and a design mix of the Aero-X and the PhoeniX sound exciting? I think so! Want to take a close look at the new Saab 9-5 SportCombi? Then check out this video. What can I say except for that this car looks stunning?! To everything there is a season. Even Jan Åke Jonsson's work at Saab. He has worked 40 years at Saab and six years as CEO. His six years as CEO turned out to be six very different years than he and everybody else could have imagined. Instead of running a car producing company, he ended up being involved in a reconstruction (more or less a chapter 11 reorganization), a sales process, a wind-down process, a sale, a starting up process and building up an independent company. Nearly everything besides producing cars. Of course Saab has also produced and sold cars under Jan Åke Jonsson, but the hours he spent focusing and concentrating on producing cars must have been very limited. There is no doubt that Jan Åke Jonsson is a big reason Saab is still alive today. His contribution can not be overstated. But the paradox is that we don't really know how good he is as a CEO of a company focusing on one thing only, developing and producing cars. Maybe Jan Åke Jonsson's task was supposed to be to "save" Saab. And now a new season has come, a time for a new CEO to show us what he or she can do for Saab. So in a bizarre way, maybe it is a good thing that Jan Åke Jonsson retires. The weeks to come there will be many possible CEOs presented by blogs, news media, so called business and car industry experts and Saab fans. I have already pointed my finger towards one man I feel could be a candidate for new CEO. But in the end the decision is in the hands of Spyker Cars' board of directors. Thank you Jan Åke Jonsson, and welcome to a new CEO whomever it may be! Yesterday was a messy day. Jan Åke Jonsson retiring, Spyker Cars losing SEK 1.3 billion in 2010 and needing more capital in 2011, and the media suddenly remembering three days old news that the new CFO changed his mind and never started in his new job at Saab. Yes, Jan Åke Jonsson will retire as CEO in May. But would Jan Åke Jonsson, like some Swedish media speculate, leave Saab if he thinks the whole company is going down the drain? Would he use three years working day and night to save Saab and now leave because he thinks the company can't be saved anymore? I don't thinks so and Jan Åke Jonsson says it ain't so. On the contrary, Jan Åke Jonsson said repeatedly yesterday that he sees the company being profitable in 2012, just like the business plan says. And Saab is in much better condition now than one year ago. The debt is much smaller and the world economy is in a much better shape. "Saving" Saab again will be much easier this time around. And I almost forgot, Jan Åke Jonsson has said that he started discussing his retirement with Victor Muller in October of last year. So this is no sudden decision. And Jan Åke Jonsson and Victor Muller's relationship has been good from the start and still is. There is no negativity between them. Yes, Spyker Cars lost lots of money in 2010, but they didn't lose more money than the business plan said they would. With a hard focus on cost cutting, Saab now has a cost base that is very low and that most likely will bring Saab and Spyker Cars into profitability in 2012. So in a sense Saab is actually delivering with accordance to the business plan. Of course the sore point is the number of cars sold. This number needs to increase and fast. Saab needs cash flow and car sales means cash flow. Over to needing more money. Vladimir Antonov has said in media that he thinks Spyker Cars needs more money this year, and it turns out that he may have been right. Yesterday Victor Muller said that Saab may need more money this year. That's a hard fact. Muller said that issuing new shares isn't necessarily the only and best way to raise money. He also said that Saab could decide to share the new technology with other parties and raise money that way. Time will tell if issuing shares or selling technology is the solution. After four days of silence, Nils-Johan Andersson yesterday told the press that his decision not to start at Saab had nothing to do with Jan Åke Jonsson's retirement or Saab not performing as expected. On the contrary, he said that he knew about Jan Åke Jonsson's retirement already in January and he also said that he had full insight into the business plan and how Saab is performing. So it turns out that he was just very undecided, and some would say unprofessional, and in the end he put Saab in a tricky position. So there you have it. Once again Swedish media have guessed, lied, speculated and generally being as rotten as they can be. Everything is normal in the Swedish media. In a teleconference today, Victor Muller admitted that Saab may need more capital this year. But a share emission is not very likely, instead Saab could share it's Phoenix technology with interested parties. All this according to an article in Swedish news site di.se. Below is a full translation. Saab Automobile may need more capital in 2011. But not by issuing new shares, but rather through the sharing of technology from the Phoenix platform. That's according to the company's acting CEO Victor Muller in a teleconference on Friday. Sales in 2010 did not reach the target, but by cutting cost the loss of SEK 1.3 billion for Saab's owner Spyker Cars was still in line with the business plan. Muller said this in a teleconference on Friday, after CEO Jan Åke Jonsson had announced his resignation. But he also said that Saab Automobile may need more capital during the year. "It is a capital intensive industry and we may need more capital, but there are more ways than issuing shares. There are great assets in Saab, for example in the Phoenix platform if we were to share it with others." He also said that he has big expansion plans and that he is eager to get to work on a new smaller model, the Saab 9-2. Vladimir Antonov, who bought the Spyker sports car manufacturing, has previously said that Saab needs more money. "Vladimir Antonov is not a shareholder and he has expressed his personal opinion, which he obviously is allowed to do. He is my financier and it would be good if he could be Saab's financier," said Muller. On the retirement of Jan Åke Jonsson, Muller told that the search for his successor had started in January, but that it may take some time to find someone who can do the job. He hopes that his career as acting CEO will be short-lived and would like to have a successor ready in time for the shareholder meeting in May. Jonsson: "This was no sudden decision"
Jonsson resigns as CEO of Saab Automobile. - I started a dialogue with Muller at the end of last year about this, so this is no sudden decision," says Jan Åke Jonsson when TTELA meets him outside Saab's main port. The sun is shining and Jonsson looks pretty happy. Just two hours earlier the press release on his departure was released. - In business terms, there were lots of work in 2010, says Jan Åke Jonsson. It is with mixed feelings he leaves the company he has worked for so long. - In June it is 40 years, if I remember correctly, he says smiling. Until September, he will remain with the company. The recruitment of a successor began already last year, when he revealed his plans for the business owner Victor Muller. Jan Åke Jonsson is so heavily associated with Saab that the Spyker share immediately fell 3.2 percent on the Amsterdam Stock Exchange on Friday morning when news of the departure of Saab’s CEO became known. - Oops, I did not know that, but it is clear that we were going through a tough period and we worked hard to survive," says Jan-Åke Jonsson. He thinks this is the right time to leave the company now and he sees a bright future for Saab. The work he did to save Saab was very tiresome and now he will concentrate on other things than work. On Friday, he had just finished an interview with the radio and was heading for a telephone press conference about the company's annual accounts. - We had one earlier in the morning with the international media and of course there were some questions about my departure. He says thank you for the interview with a strong handshake and goes with firm steps towards the office building where he will answer more questions about his decision to leave the CEO seat. 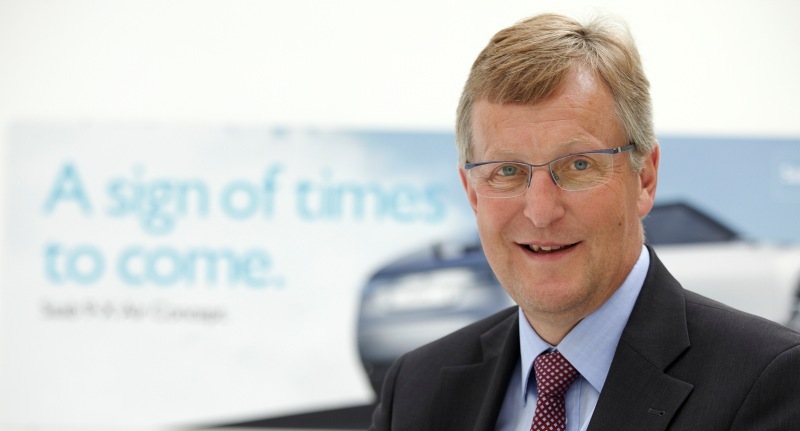 As reported earlier today, Saab’s CEO Jan Åke Jonsson will retire from Saab. But there is no reason to worry about the future according to union representative Anette Hellgren and Trollhättan mayor and previous union boss at Saab, Paul Åkerlund. - I understand the decision, says Trollhättan boss Paul Åkerlund. The last year has been very tough and I think he do the right thing stepping down and giving someone new the chance. Paul Åkerlund is the mayor of Trollhättan. He was up to March of last year, the chairman of the union Metal at the Saab factory. - I'm not surprised by Jan Åke Jonsson's decision, he tells GT.SE. He has worked really hard for a long time now under much pressure. - And if you no longer have the energy, it is better to step down and let someone else take over, he says. Next autumn, when the new 9-3 will be launched, is very important. Although Paul Åkerlund understands Jan Åke Jonsson decision, he thinks it is sad. - Yes, because he is a genuine Saab person. He has been with Saab for 40 years. But everything has its limits. Paul Åkerlund feel no more concern for Saab's or Trollhättan’s future now that Jan Åke Jonsson retires. - No, not because of this, he says. Not more than usual. All companies change managers from time to time. This also applies to Saab. Billion losses, revised sales forecasts and manager changes at Saab Automobile. Nonetheless the union is optimistic with regard to the car manufacturer's future. Anette Hellgren is the President of Union, which is one of the unions at Saab. She is not worried about Saab's future without Jonsson, who on Friday announced his resignation as president and CEO of Saab. “I respect his decision, he has done a fantastic job for the company. I wish him good luck for the future”, she says. Saab has several tough years behind and Jan Åke Jonsson, who has been CEO for six years, has during the crisis been the stability in a company characterized by constant change. The company has changed ownership, production forecasts have been written down and finances have been doubtful. Jan Åke Jonsson has led the company through the crisis and the symbol of stability for Saab. How will his departure the company's future? "All companies have different cycles and we will make something good out of this, as we have done all the time during the crisis. He was extremely important to us then and it was probably crucial that he stayed with Saab and steered the company and believed in us, as many others did not. We will use the strength we have in the company to make something good out of this and see to it that someone new that believes in us can come in." How will this affect the confidence in Saab? "I hope it is not affected at all, and that people look forward and sees there a new ear is coming where we are an independent company." Last week, the prospective vice CEO Nils-Johan Andersson resigned even before he had started in the job. Despite that Anette Hellgren does not agree that there is a problem composing a management team. "I do not link the events. These are two different events that just happened at the same time”, she says. Jan Åke Jonsson will remain as CEO until the general meeting in May, then the chairman Victor Muller will be CEO until a new CEO is appointed. "During a transition period that is a necessary change, and there’s nothing strange about that. But for me it does not fell like a long term solution to combine the positions of both client and provider as one might describe the situation", says Anette Hellgren, chairman of the Union Club at Saab Automobile. What is the atmosphere at the company right now? "I have not been at work today and do not know how staff and members have reacted. But I do not think there is anyone who thinks it's weird, but we will quite simply miss him". You says a new CEO to the company, does that mean that you think there will be appointed someone from outside the company? "Yes, I hope so. I hope we have done so well and that we are such an interesting company that we can attract good leaders. There are probably already thoughts about who it could be." Anette Hellgren says that a new CEO needs commitment, optimism and an entrepreneurial spirit, someone who can complement Victor Muller in the future. She thinks that the person has to continue in the spirit of Jan Åke Jonsson and the path he has set out. But she has no suggestions to who it could be. I was shocked to learn earlier today that Jan Åke Jonsson is retiring as Saab CEO. How can Saab possibly continue without Jan Åke? Jan Åke has been the rock the last years, and he was the reason I still believed in Saab! Now that I have had some time to deal with this news I'm starting to realize that there are of course other people out there who can do a great job for Saab. And the first name that comes to mind is Bo I. Andersson. Bo Andersson was born October 16, 1955. He holds a bachelor's degree in business administration from Stockholm University and completed the senior management program at Harvard University in 1999. He began his career with GM in 1987 as a manager with Saab. After holding various leadership positions, he was appointed vice president of Purchasing for Saab in 1990. In August 1993, Andersson transitioned from Saab to GM. At GM Bo Andersson held different executive positions over the years. 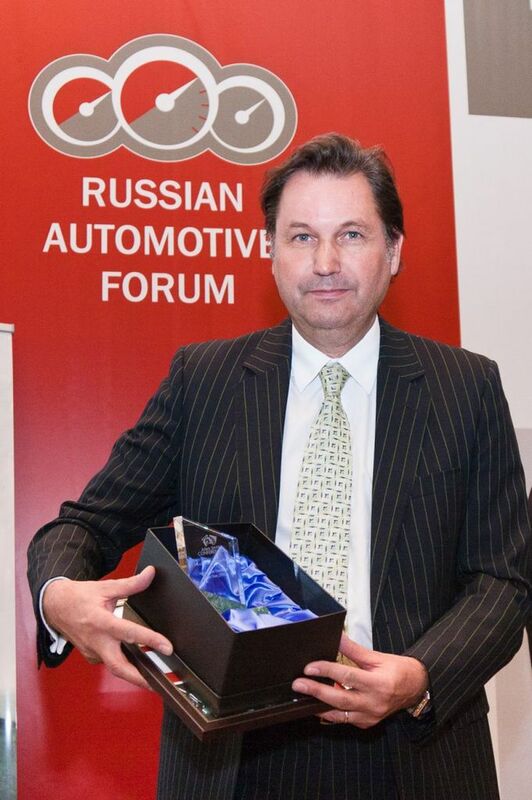 He was vice president of Purchasing for General Motors Europe for a few years, and the last years at GM he was vice president of Global Purchasing and Supply Chain. In 2009 he left GM to become CEO of Russian GAZ. Just a few weeks ago, he was actually named the best business leader in Russia for his excellent work at GAZ by the Association of European Business in the Russian Federation. It has also been reported that he recently said that he is not certain how long he will stay in Russia at GAZ. So could Bo Andersson become a new CEO for Saab? I have no idea if Victor Muller even knows him or if Bo Andersson would be interested, but there is no doubt that he is a capable man and he is a SWEDE! Jan Åke Jonsson retires from Saab! 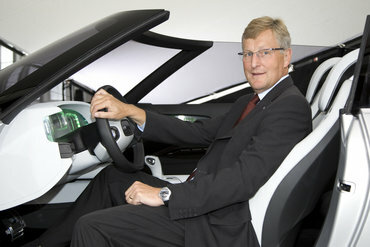 Today a press release from Spyker Cars N.V. tells us that Jan Åke Jonsson will retire from Saab. I have to admit that I receive this message with disbelief. For me Jan Åke Jonsson has been Mr. Saab for the last 5 years. Rally legend Erik Carlsson may have been mister Saab in the good old days, but the last years Jan Åke has unquestionably been Mr. Saab. Read the press release is below. Today Saab announced that importers for Russia and China has been appointed. It's good to see that Saab is re-entering more and more markets. And these two markets are huge and the potensial for Saab is also huge. With the right products, the right partner and the right marketing, there are more than enough people with strong financial resources to buy Saab's in thousands. The new system will use the current Saab V6 to drive the front wheels of the new 9-3. This is the first time we're told that Saab will still use GM engines in the next generation Saab cars. But I am a bit doubtful about this new piece of information. My tip is that there won't be any V6 for the next 9-3, and that the engines will be supplied by others than GM. BMW has already agreed to supply inline 4 1.6 litre twin scroll turbo engines. The system also will offer torque vectoring, directing power to help steer the car through corners, whether on slick roads or during aggressive driving maneuvers. Now undergoing testing in Sweden, the system is able to help minimize the “rebound” effect that occurs when a car starts to skid then suddenly lurches in the opposite direction, explained Peter Dorrich, who serves as vehicle chief engineer on various Saab product programs. We've heard about torque vectoring before, and it's nice to get some knowledge about how this feature will improve the driving experience. "I think 29.9 percent would be fair enough, and this is what I had before. I would be totally happy to have 29.9 percent"
"I would plan to invest up to 50 million euros, but it still remains to be seen how much cash they (Saab) would need." That sounds good to me. A big share, but not big enough to get control over the company. 19:19 Updated with the investment amount. Regarding the plans to invest in Saab, Vladimir Antonov said that the process is moving ahead. "I can invest the SEK 3.5 billion needed, together with partners, and plans for a Saab factory in Russia is not dead", he said to Di. But first Saab needs to reorganize the distribution network in Russia and eestimate the volumes that can be sold. Autoblog can now confirm that a five-door is indeed headed into production along with the expected convertible variant. Interestingly enough, what isn't yet confirmed for the 2012 9-3 is a sedan bodystyle. The changes are so significant that Hillerborn says he imagines GM executives will be "very surprised" when they see the production car. Hillerborn says that the hatchback will likely be five-door only (presumably a SportCombi wagon variant will follow), though we imagine there are some three-door renderings knocking about in Trollhattan. Hillerborn promises a very sleek and unique hatchback, one that should appeal to traditional sedan buyers as well (read: not bulbous and overtly hatch-like, but more streamlined). A traditional 9-3 sedan is under consideration and would likely help move some units in the U.S., but it apparently has not yet been signed off on, meaning that the five-door will form the heart of the range. So to summarize; A sleek five-door hatchback, that will appeal to sedan buyers as well, and that will make the GM executives very surprised. This sounds like the complete opposite to what we would have gotten under GM's rule. It's like Saab rejects everything that is GM! The car industry's search for weight reduction and more innovation should be no surprise for anyone who has followed the automobile industry the past years. Less weight means less fuel and less emission in a market where fuel and emisson have become two of the most important criteria when buying a new car. Innovation has always been important, especially for the premium market. Just look at Audi's slogan: "Vorsprung Durch Technik". Getting a reputation for being innovative can sell cars. Prior to the GM era, Saab was known for being innovative, and now Saab needs to get back on that track. Easier said than done you might say. And I'm sure it's not easy, but one step can be to look for innovative subcontractors. Below is a article from Aluminium Scandinavia reporting from a conference November last year, where Saab's Purchasing Manager told the subcontractors to aim for lighter and more innovative components. Apparently Ford and GM have left some of their previous dealers struggling, and now these dealers look to Volvo and Saab for hope. Automotive News has talked to several dealers who once sold Ford or GM brands, and whose contract with the Detroit companies was terminated, and these dealers are now hoping that applying for a Volvo or Saab franchise can be their solution to keep selling cars. The big question is if more dealers is the answer for Saab to increase the sales in the US, or if the answer is less dealers and dealers who are Saab exclusive.